As my husband and I drove for five hours to visit the beautiful gardens of Mount Desert Island, Maine, we listened to an Audible rendition of Amy Stewart's The Drunken Botanist to pass the time. Like many gardeners, I have become more interested in cultivated and foraged edible plants in the past few years. How could I put my sage, lavender, lemon balm, mints, lemon verbena, basil, rosemary, blueberries and peaches to better use? A collection of new botanical cocktail books caught my eye, from The Drunken Botanist, to Adriana Picker's The Cocktail Garden, Amy Zavatto's Forager's Cocktails and C.L. Fornari's The Cocktail Hour Garden. 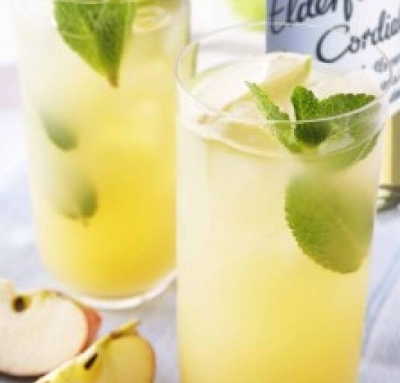 After years of drinking nothing but wine, I was intrigued by the promise of "drinks for long hot summer afternoons spent among flowers in the garden; wine spritzers for breezy evenings on the back porch; champagne cocktails for celebrations under the apple tree; and fruity party punches for that garden party gathering with style." The Drunken Botanist delivered a fascinating mix of botany, chemistry, history, etymology, mixology, gardening know-how and drink recipes during our journey north. When we arrived at the Asticou Inn, we were delighted to find a long porch where you could spend an afternoon with a Blueberry Mojito or a Porch Sipper and watch the boats sail in and out of Northeast Harbor. The recipe for a Porch Sipper and other delicious garden cocktails follow. Mix in a highball glass with cubed ice, garnishing with a mint sprig. In a tall glass, combine the sugar and a squeeze of juice from the lime wedge. Muddle with the back of a spoon to dissolve the sugar. Add the sliced strawberries and lightly muddle. 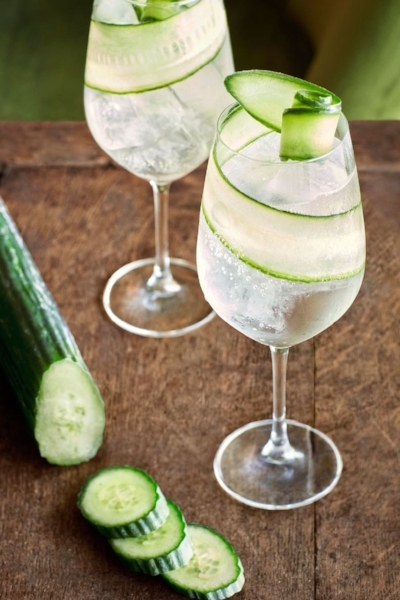 Fill the glass with ice and add the gin. Top with a splash of club soda and garnish with the last strawberry and a sprig of mint. 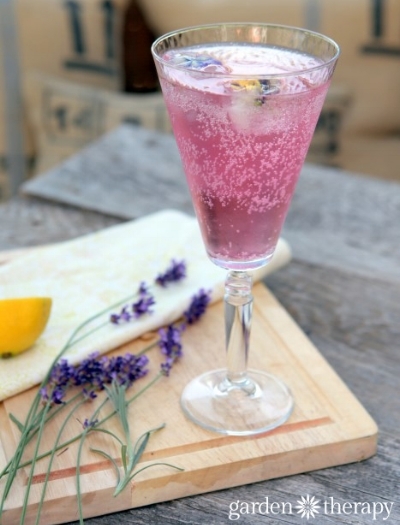 Mix in a highball glass with cubed ice, garnishing with a lavender sprig. Combine the sugar and water in a saucepan and bring to a boil, whisking until the sugar dissolves. Turn off the heat and let the mixture cool. Puree the kiwi fruit in a food processor or blender. Add the cooled sugar syrup and blend. Combine all the ingredients in a long glass filled with ice and stir. Add all of the ingredients to a saucepan and bring to a boil while stirring to dissolve the sugar. Turn down the heat to low and let simmer for another 10 minutes. Turn off the heat and allow the syrup to cool. Once cool, strain the herbs, then pour through a coffee-filter-lined strainer to remove any particles. Store in the refrigerator for up to 3 weeks. 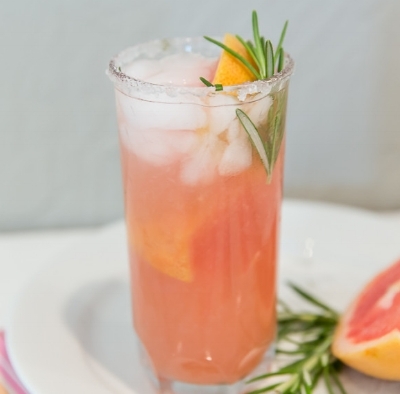 Mix in a tall glass with cubed ice, garnishing with a grapefruit slice and rosemary sprig. Sit back and enjoy the view!